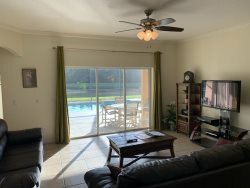 This home has everything you need for a great family stay. The crystal clear pool overlooks a lake and there is a spa for the adults to enjoy. The children also have a tiled Games Room where they can shoot a game of pool, challenge a friend to a foosball competition or enjoy the air hockey table. The living areas are tiled. There are leather sofas and two tables seat ten people for dinner. The kitchen is fully equipped and the center island has double sinks and dishwasher. The home also has its own washer and dryer. The bedrooms all have wooden floors. The master has a king sized 4 poster bed. The bathroom has tub, walk in shower and two basins. There are two twin bedrooms with a Jack and Jill bathroom between them for the children to share. The final bedroom is next to the other full bathroom and has a King bed. 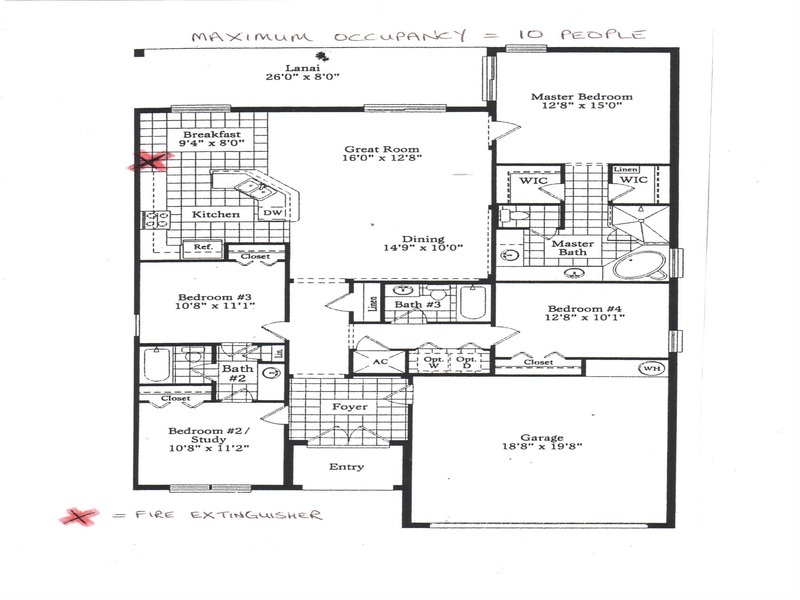 This is a great floor plan for two families to share. We had a great time! The house was in a perfect location with tons of things to do! Our kids are older and they never got bored. :) We would do this again for sure!!! fantastic Villa and location, it was that good I didn't want to leave, I would have happily moved in for life! I can't really add anything else, it was 5stars for me.